Before he was caught in 1991, Jeffrey Dahmer murdered 17 men and boys in the Midwest, dismembering their bodies and dissolving them in acids. One of history’s most infamous serial killers, My Friend Dahmer is a glimpse at Jeffrey Dahmer’s odd high school life before he became a monster. Marc Meyers’ movie is based on cartoonist Derf Backderf’s critically acclaimed 2012 graphic novel that detailed his strange and ambivalent relationship with Dahmer in high school. 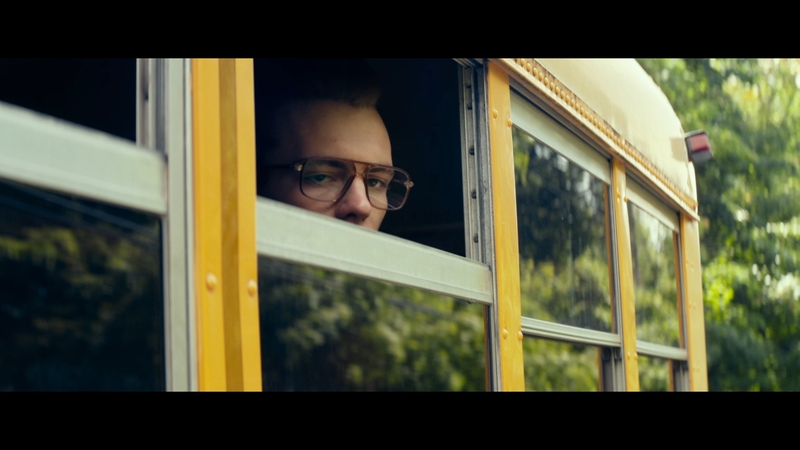 The true account is a haunting coming-of-age tale that paints an oddly sympathetic portrait of the young Dahmer, despite his increasingly bizarre and erratic behavior throughout high school. The fascination with decaying flesh and rotting animal bodies signal Dahmer’s emerging evil from an early age. Jeff Dahmer (Disney Channel’s Ross Lynch) is an awkward outsider struggling to make it through high school in Ohio as his family life spirals into ruins. His bizarre behavior at school, faking seizures and pulling pranks, attracts a few unexpected friends and provides a way for Jeff to connect with his fellow students. A group of band geeks semi-mockingly form the “Dahmer Fan Club,” headed by Derf Backderf (Alex Wolff) himself. The small group of friends unwittingly become close to Dahmer, despite recognizing his creepy tendencies and off-putting demeanor. As Jeff and Derf near graduation, Jeff’s slide into darker habits grows unchecked. 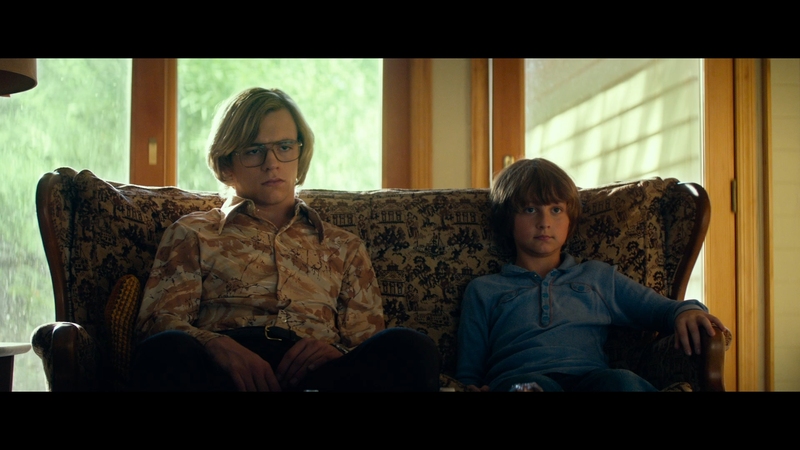 We see the evolution of Dahmer from a shy kid to the monster he becomes one day. My Friend Dahmer is the disturbing, but true, story of Jeffrey Dahmer in high school as related by someone that actually went to high school with him. Don’t go into My Friend Dahmer expecting a grisly slasher with blood and gore. It’s far more of a teen coming-of-age drama about a disturbed young man. Known for dismembering his victims and even eating them, this is a young Dahmer that hasn’t acted yet on his dark impulses. He’s clearly thinking about killing someone at this stage but hasn’t worked up the courage to take that final leap. Jeff here is a shy, awkward teenager that enjoys picking up roadkill and slowly dissolving their bodies to the bones, using his father’s connections as a chemist. We get flashes of Dahmer’s emerging sexuality, when he becomes excited over a physical exam by a male doctor. If you can get past Jeffrey Dahmer as serial killer, My Friend Dahmer does an oddly effective job of humanizing him. His seemingly mundane family life is shattered when his parents break up. His father, a chemist, wants a normal son and doesn’t understand his son’s weird desires playing with dead animals. His mother, played by Anne Heche, is a neurotic mess. The movie implies Dahmer may have not turned out as such a monster with a better support system at home. It makes one wonder how a killer could have been produced by this frighteningly ordinary family. 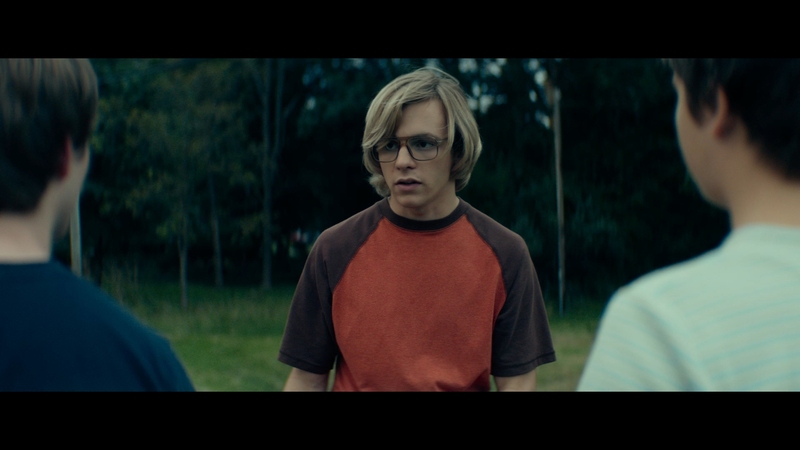 Ross Lynch does a superficially impressive job of imitating Dahmer’s appearance and odd mannerisms. It’s a solid showing for a young actor. My Friend Dahmer is a well-acted, tightly scripted movie with something missing. There isn’t that eureka moment when we are given the birth of Jeffrey Dahmer, serial killer. While it lacks the gripping emotion of Derf Backderf’s graphic novel, dropping a few things along the way, this is a decent movie adaptation that illuminates a great deal about Jeffrey Dahmer’s origins. FilmRise recently entered into a distribution deal with MVD Visual and this is one of the first products of that partnership. The 1080P video, shot on ARRI Alexa digital cameras, offers clean HD in fine definition. Shown in the film’s intended 2.40:1 aspect ratio, some softer scenes can’t diminish the generally excellent-looking exteriors. My Friend Dahmer isn’t necessarily eye candy but certainly delivers consistency. The 107-minute main feature has an adequate contrast with a neutral color palette. This isn’t one of those period films that attempts to heavily skew its palette. Flesh-tones have warmth, if a touch cold in differing scenes. A hint of ringing and aliasing can be seen in the video transfer. The AVC encode on a BD-25 does a serviceable job of the largely pristine footage. Black levels are average, occasionally showing reduced shadow delineation in darker night scenes. My Friend Dahmer’s 5.1 Dolby Digital audio at 448 kbps has fairly tepid surround design. The surrounds offer mild ambience and directional support, mostly for the score. I don’t believe much was lost in this lossy offering. The sound has clear dialogue and excellent fidelity. Optional English SDH subtitles play in a white font, inside the scope presentation at all times. A secondary 2.0 Dolby Digital soundtrack is included that sounds nearly identical in bass and front soundstage to the surround option. My Friend Dahmer has an unusual history on Blu-ray. FilmRise first issued a “special edition” of it themselves on BD-R, with several cast interviews. This pressed disc from MVD Visual is not a BD-R, but does lose those special features. Interview With Ross Lynch (03:06 in HD) – The actor discusses playing Dahmer and meeting Derf Backderf. The movie lacks the visceral thrills that energize serial killer fans, leaving a sad coming-of-age tale with a tragic outcome. The unaltered images below are taken directly from the movie’s Blu-ray. 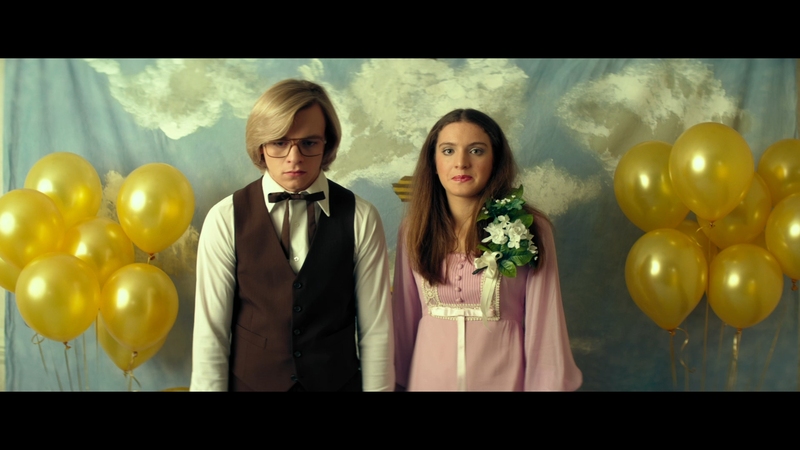 For an additional 14 My Friend Dahmer uncompressed screenshots, early access to all screens (plus the 12,000+ already in our library), exclusive UHD reviews, and more, support us on Patreon.